This topic contains 6 replies, has 0 voices, and was last updated by Anonymous 7 years, 9 months ago. The Zavio F312A provides VGA resolution (640 x 480) and is available from CCTV Camera Pros for $179.99. 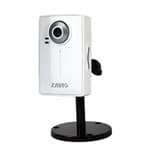 The Zavio F3106 provides 1.3 megapixel resolution and is available from CCTV Camera Pros for $219.99. You also need a wireless router, such as a simple one from LinkSys or D-Link for example. Although these routers are typically used for Internet access, you can also use them to create a local wireless network between your laptop and the camera. 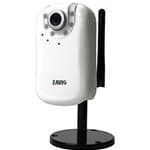 Connect the laptop via a cat-5 cable to the wireless router, then configure the Zavio IP camera to connect to the router via WIFI. You will then be able to access the camera from a web browser on your laptop. You can use Internet Explorer, Firefox, or Google Chrome. Is this camera really very good? We think that it is one of the best IP cameras for the money. Please check the videos on this link to see for yourself. Do you something about spy cameras and security cameras? Unfortunately, they are not wireless though.